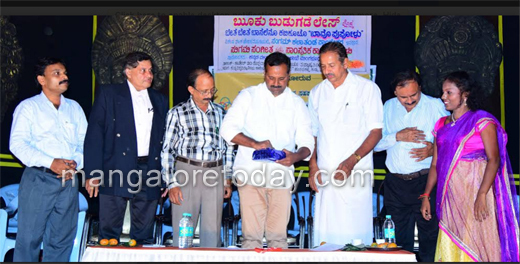 Mangaluru, July 6, 2015: According to media reports, University College, Mangaluru, (in Hampankatta) will get financial assistance of Rs 1.83 crore by the UGC - University Grants Commission for restoration of its Ravindra Kala Bhavan and is one of the 19 higher educational institutions across the country which have been given heritage status. Cotton College, Guwahati; Fergusson College, Pune; St Joseph’s (A) College, Tamil Nadu; Khalsa College, Punjab; and Langat Singh College of Bihar are some of the other colleges which got heritage status and development funds by the higher education regulator for standing "the test of the time" and shaping the country’s youth for at least a hundred years. St Xaviers College Mumbai, St Aloysius (A) College Mangaluru and St Joseph’s (A) College of Bengaluru had also applied for heritage status along with 39 other higher educational institutions from different states, but their applications were rejected. The higher education regulator had received applications from a total of 60 higher educational institutions functioning in different states for grant of special heritage tag and funds for their preservation and development. The UGC’s scheme is part of the 12th five year plan for providing special heritage status to colleges and universities which have been functioning for 100 years and contributed tremendously not only in the field of higher education but also in maintaining the cultural, social and moral fabric of the long history of India. Provision for grant under the scheme was made as many of these institutions were starving for resources and expertise to renovate and restore their heritage structures. Bihar’s Langat Singh College in Muzaffarpur, where Mahatma Gandhi had stayed during his Champaran Satyagraha and country’s first president Rajendra Prasad was a teacher, got a financial aid of Rs 15 lakh from the UGC under the scheme for digitisation of its rich library. The UGC earmarked just over Rs 4 crore to Kerala’s CMS College in Kottayam for conservation and preservation of its heritage buildings. Ravindra Kala Bhavan at the University College, a Govt College in the heart of Mangaluru is the premier cultural hall of the college at present. It is of very unique architecture and preserving it along with supporting structure is a very vital need. Many well known and famous have passed through this institution which is more than a century old.